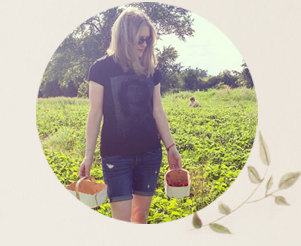 One of the many beautiful things about summer is that we tend to crave healthy, natural foods. Nothing is more satisfying on a hot summer day than a piece of ripe, refreshing fruit. I like to take advantage of these warm weather cravings while they last by incorporating fruit into as many meals and snacks as I can. 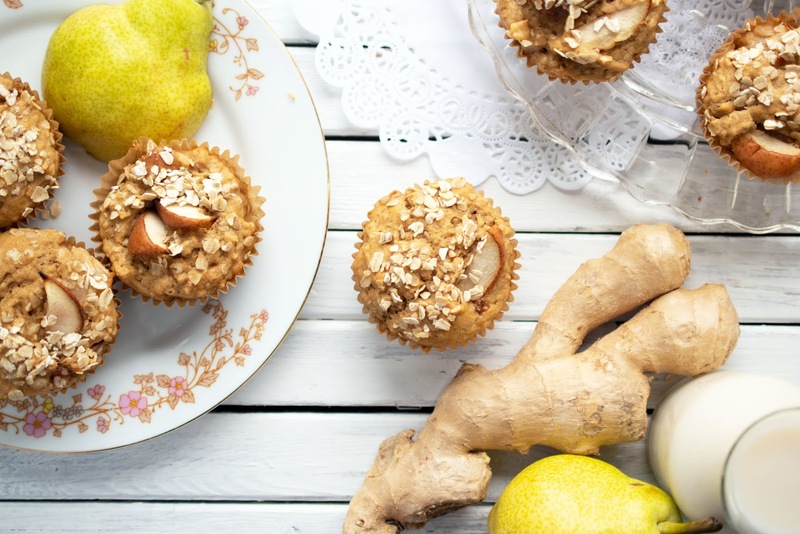 That's why I created this recipe for vegan Pear Ginger Muffins. 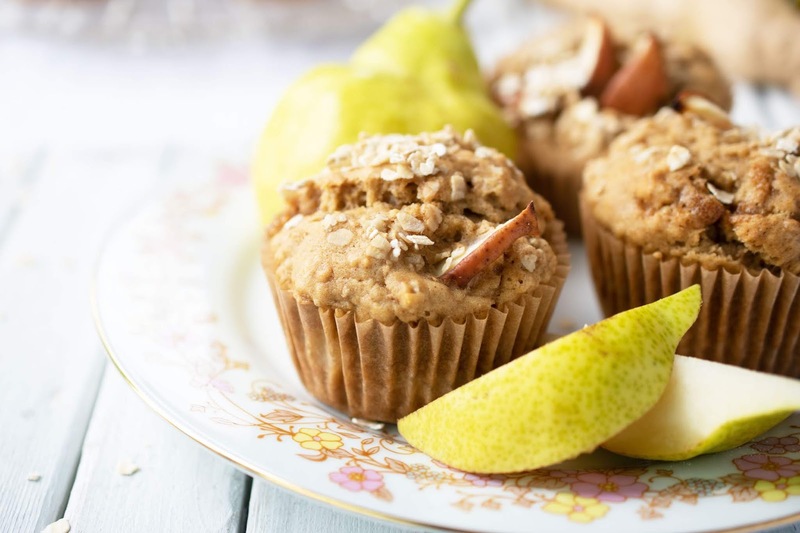 Not only are these muffins moist and delicious, they also harness the health benefits of fresh California Bartlett Pears. California Pears contain antioxidants and are a source of Vitamin C, potassium and folic acid. I have been trying really hard to have a fibre-filled breakfast each day (to keep the old digestive system moving along) and Bartletts from California are a good source of fibre. You get 6 grams of fibre in just one medium pear - a mix of soluble and insoluble fibre. Soluble fibre has been associated with lower blood pressure and reduced inflammation. And insoluble fibre helps to maintain a healthy GI tract by moving foods through the body efficiently. 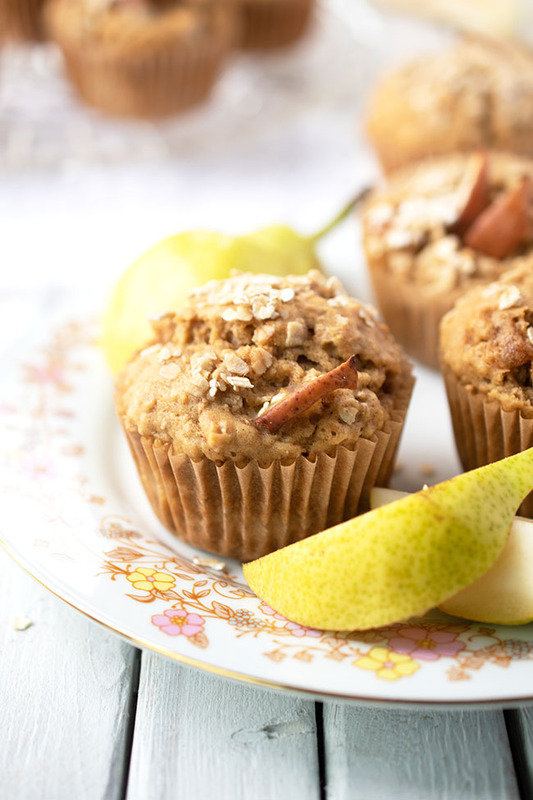 Take one of these muffins along with you on a busy morning for an additional source of fibre at snack time. Of course, you could take a fresh pear as well. In case you have been on the lookout for fresh California Pears at your supermarket, here's a tip: they're only available for several weeks in July and August. So get 'em while you can! 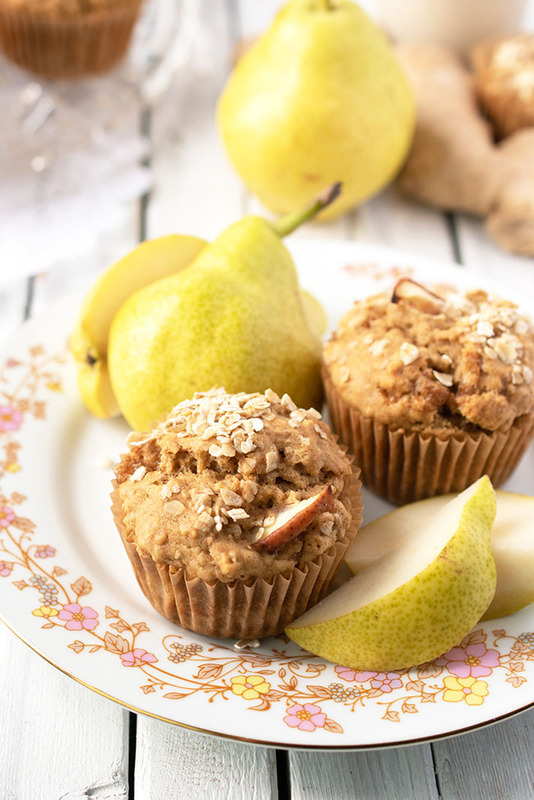 And pick up a couple extra so you can make these Pear Ginger Muffins. 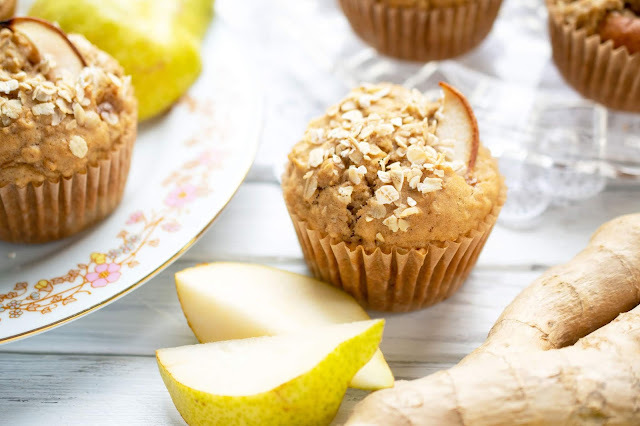 The flavours of pear, ginger and cinnamon come together beautifully in these muffins, making them gently spicy and nicely sweet. My entire family loves these muffins, and that includes two picky teens. They were pleasantly surprised because they weren't sure they'd like the small chunks of pear in a muffin. But the pear chunks make for a lovely contrast to the tender muffin. And I put a thin slice or two of pear on top of each muffin (along with oats) for textural interest. In case you're wondering, I left the skin on the pears for additional health benefits and they bake up well that way. No toughness at all. 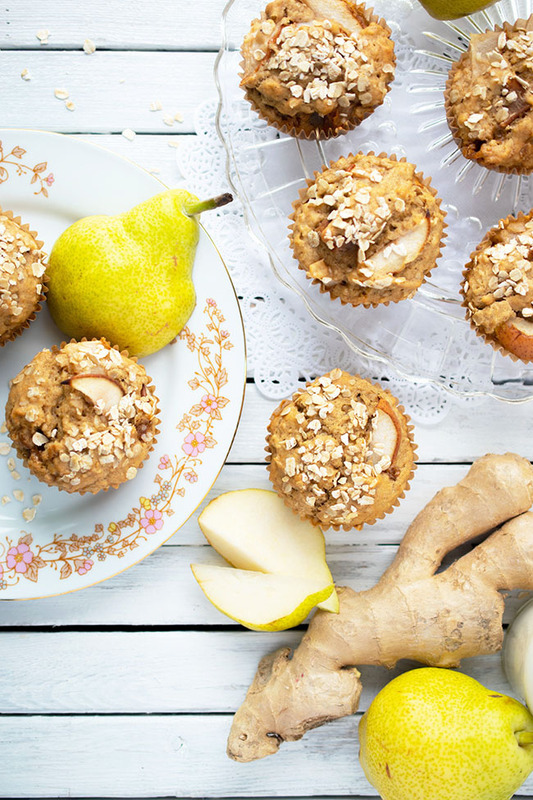 I used light spelt flour to make these Pear Ginger Muffins. I prefer the lightness this flour gives to baked goods. But you could use all-purpose flour too. The muffins are sweetened with brown sugar but I think coconut sugar would do just as well. I also added oats and a chia seed "egg" for additional fibre. As these are vegan muffins, I made a "buttermilk" from non-dairy milk (I used almond) mixed with plain white vinegar. These muffins are perfect for freezing - package them individually so you can grab one (or two) from the freezer as you head out to work, school, beach or park. And pack some California Pears in your picnic basket. Because cravings for fresh fruit can be satisfied with no guilt whatsoever! For more information and recipes using California Pears, visit calpear.com. What kinds of recipes do you create with pears? In a large bowl, whisk together spelt flour, oats, baking powder, baking soda, ginger, cinnamon and salt. 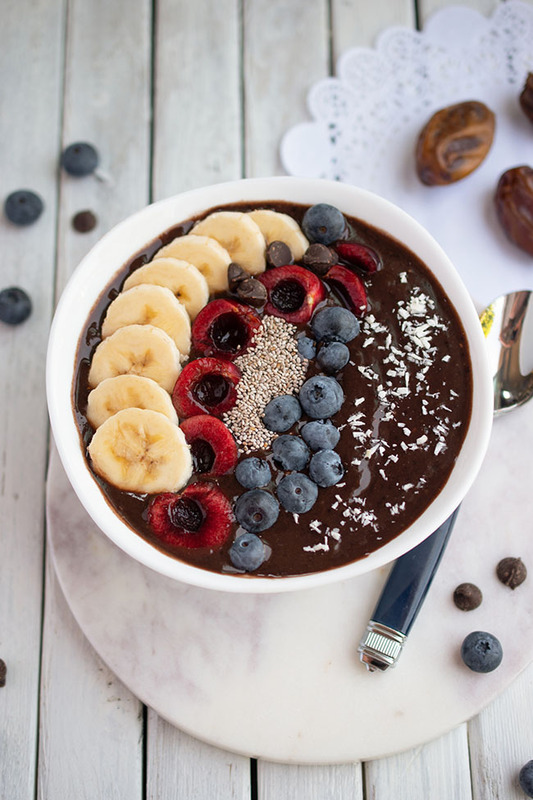 In a medium bowl, whisk together brown sugar, oil, chia egg and milk mixture. Pour into dry ingredients and stir until just mixed. Stir in pears. Spoon batter into greased or paper-lined muffin cups. Sprinkle oats over muffins. Arrange pear slices on top. Bake for about 20 minutes, until toothpick inserted into centre comes out clean. I love the combo of pears & ginger. Saving this recipe. Also I had never heard of the chia egg but it seems simple enough. Thanks for sharing another delicious recipe. Wow! This recipe sounds amazing! Thank you for sharing it. I’ll definitely try to try it in the near future. Thanks Cheryl! I hope you enjoy it! I have never heard of a chia egg before! Thanks for explaining it! This recipe sounds amazing. You are most welcome Kristy. Such a simple egg replacer. Thank you! I am not really a fan of ginger but I may like it these yummy-sounds muffins. These look so good. I don't have spelt flour. Do you think I could substitute stone ground whole wheat and maybe use a little less. I think it might work. I'd still get the amazing pear flavour. Wow,this recipe sounds and looks delicious. Thanks so much for sharing! I wish my baking looked this good - it makes it so much more appealing and gorgeous to eat. This recipe sounds so delicious! I love all the ingredient! Thank you for sharing! I've never thought of using pears in muffins, but I use apples all the time. Sounds great! 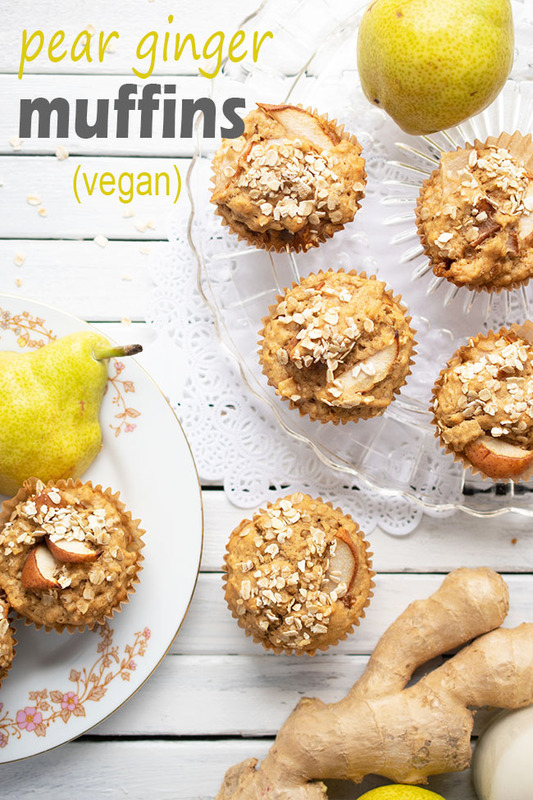 I hadn't thought of using pears in muffins - thanks for the recipe! I will definitely try this muffin recipe. Thank you. Great! I hope you enjoy it Lilian!